In Spain, there seems to be a tradition of reacting to emerging evidence of data manipulation with handing out prestigious awards to authors of these papers. This is how we were all taught that all the PubPeer evidence matters nothing whatsoever, as Pura Munoz-Canoves, Maria Pia Cosma and Manel Esteller were celebrated with prizes and grants for their research achievements (read here , here and here). Now there is a new popular academic hero in Spain, Carlos López-Otín, Professor of Biochemistry and Molecular Biology at the University of Oviedo, and EMBO member. Lopez-Otin was now awarded a 2017 Mentoring Award, presented to him by Sir Philip Campbell, on behalf of his journal Nature, which Editor-in-Chief Sir Philip has been for the last 22 years. The journal Nature remains the highest authority in science, this Mentoring Award is Sir Philip’s parting present to the Nature-reading scientific community, as he is being promoted inside Springer Nature’s publishing hierarchy. It is in this way a statement of what Nature and its publisher think of research integrity. 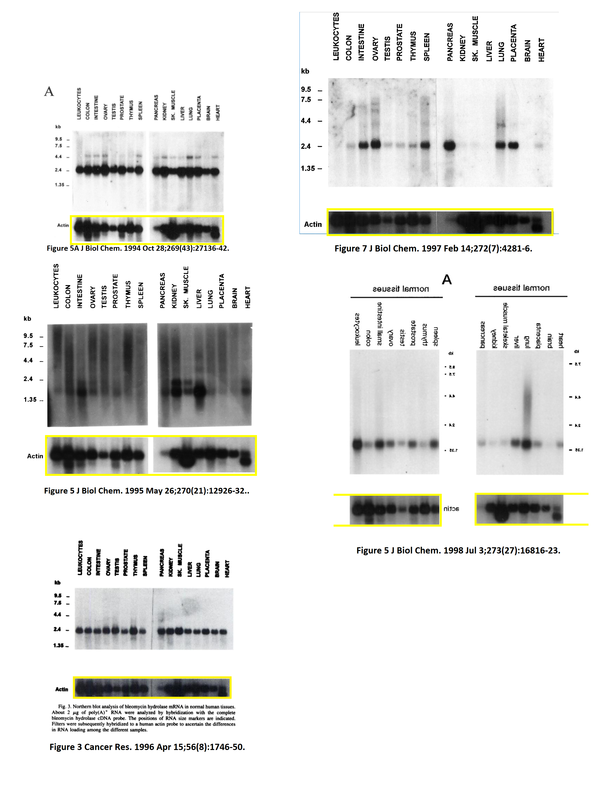 Lopez-Otin’s evidence record on PubPeer is telling enough, however most of the evidence of digitally manipulated gel images there was posted around 2-3 months ago, by the pseudonymous Claire Francis. Maybe the evidence appeared too late, and the award decision couldn’t be stopped anymore. Which would explain why Nature deleted their own tweet announcing the mentorship awards after I replied to it with PubPeer evidence on Lopez-Otin’s papers. According to another Nature website, which was for some reason also deleted, the closing date for nominations was Monday 31 July 2017. So I share some examples below, all are from papers where Lopez-Otin is last and corresponding author. 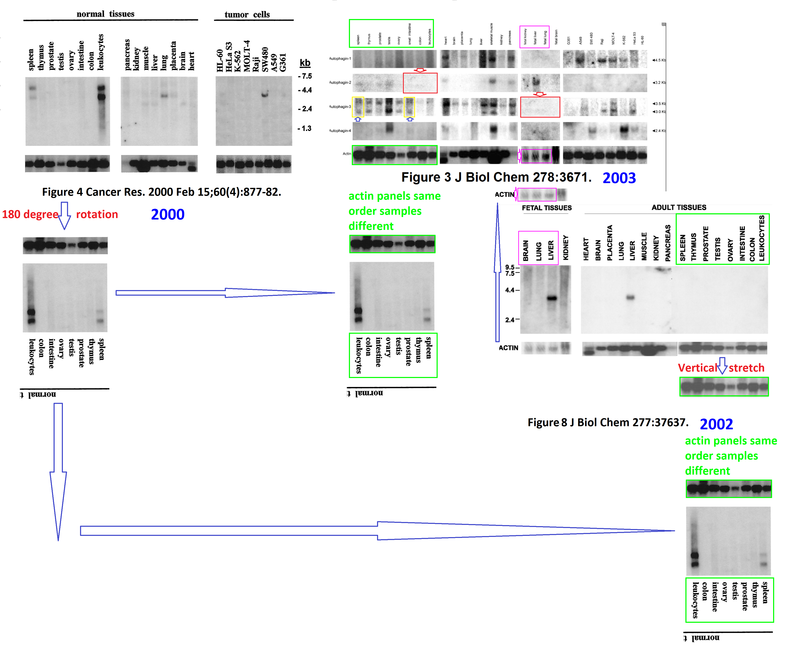 PubPeer evidence for Velasco et al Cancer Research 2000 and Velasco et al JBC 2002. It is obvious controls were run on separate gels, the-reused, and inappropriately inverted. Boxes highlight suspiciously similar areas of the background. For some reason, jury member Alison Abbot failed to mention her decisive role in her follow-up Nature article, while the past one listing her as member of the judging panel was deleted. Nominators said that López-Otín insisted on celebrating every accepted paper or project in the lab and was widely generous with advice”. One wonders, how was this copy-pasting on the background, apparently required in order to get this paper accepted, celebrated? PubPeer evidence for Llano et al, JBC 2008. 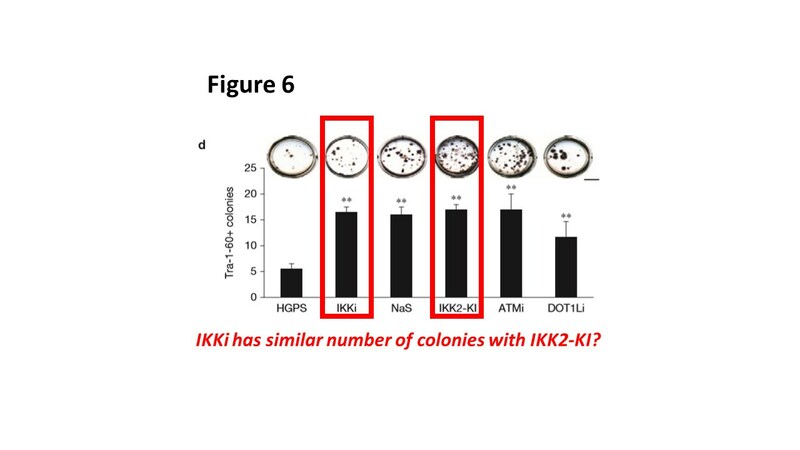 This figure is most obviously crudely manipulated, with duplicated parts of background. The image is not even contrast-enhanced, only boxes and arrows added to highlight manipulations. “Carlos has been a constant catalyst of scientific activities in Asturias, a region marked by decades of economic and social distress,” wrote one of his mentees”. In this vein, was prompting people to clone gel bands part of those catalytic activities of the mentorship award-winner Lopez-Otin? 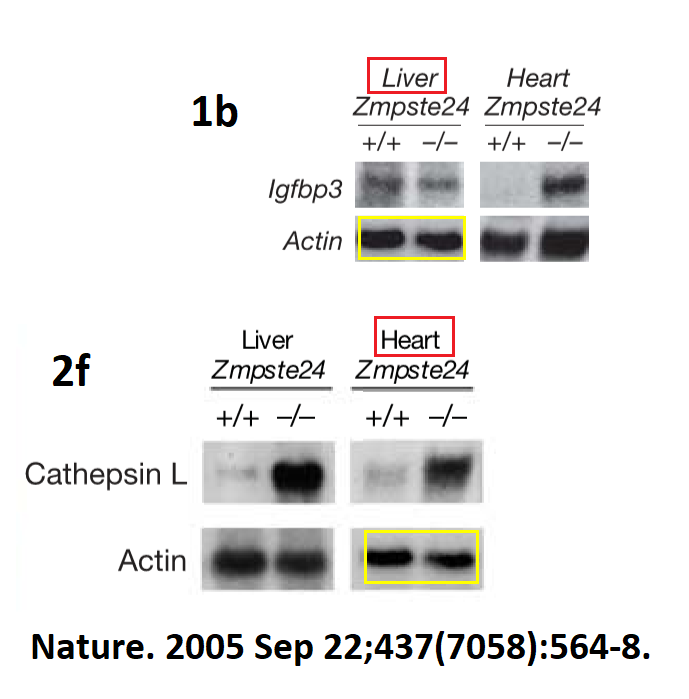 PubPeer evidence for Díaz-Perales et al JBC 2005. heavy lane splicing aside, one lane in GAPD seems to feature three times on the same gel. Even Sir Philip’s own Nature family wasn’t spared of Lopez-Otis irregularities. 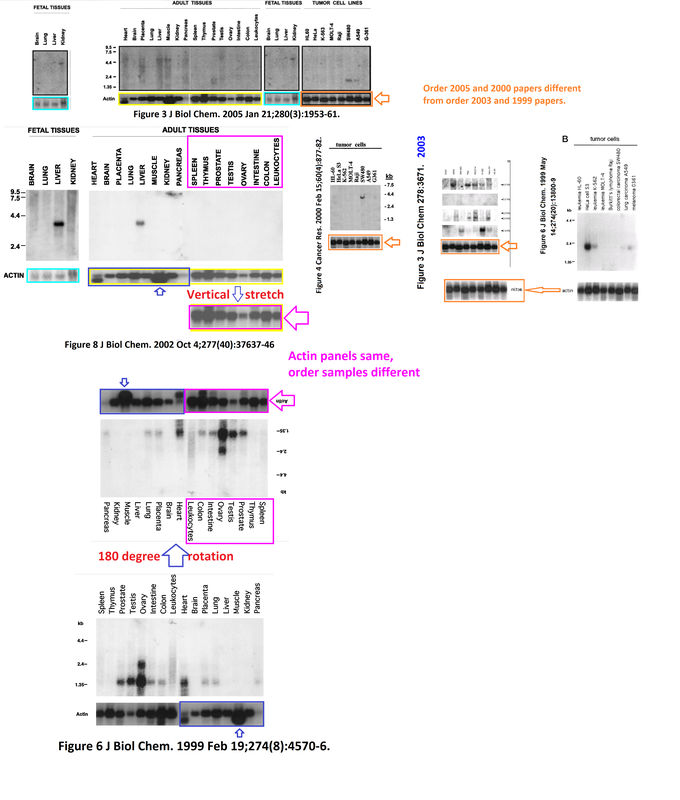 This PubPeer post discusses Soria-Valles et al, Nature Cell Biology, 2015, and how the provided original blot images in the supplementary data do not match their published figure counterparts. For sure artistic creativity must be compensated….indeed a good part of a PhD in Spain is dedicated how to do the best Adobe Photoshop artistic jobs…. Sounds like you speak from experience, as, to the best of my knowldege, you are supporting such an UNTRUE statement by no evidence appart from your own PhD (and perhaps someone else’s in your environment?) in Spain. Bottom line: you are just fabricating the data on which you based your conclusions. Therefore, in the light of your affirmation, I could probably say that you did a great PhD in Spain, right?. Good for you then!! Yes, they should replicate the Portuguese system. You have to congratulate Nature on bringing the data manipulation to public attention. Nature may be unwitting, but it does have high impact. I am still waiting you to name 20 “amazing scientists” in Spain. It should not be difficult as you wrote that “Spain, was full of amazing scientists”. If you cannot name 20 where have they gone? I hope we could end this debate by agreeing there are in fact quite a lot of very good scientists in Spain, but under current conditions they must live in fear of their dishonest peers who accumulate power, grants and awards. An award given to these cheaters is not just a meaningless cup or a medal. It is a sign who enjoys protection from the very top. Spain as a former oppressive dictatorship surely knows how this works. “Spain as a former oppressive dictatorship surely knows how this works.” If I had any interest in this blog, this kind of bigoted and scientific statement unveils who you really are. No, you wrote that “Spain was full, of amazing scientists”. Name 20. You know there are 20 and more. Yes, those that you mention are not part of that group. What else do you need? What is your plan to improve the scientific environment in Spain? Write helpful stuff that can be applied, hopefully without prejudice and racism. Don’t let your anger take the best of you. Many feel that scrutiny is not nice. Instituto Química-Física Rocasolano, Consejo Superior de Investigaciones Científicas, Serrano 119, 28006 Madrid, Spain. J Biol Chem. 2004 Jun 18;279(25):26627-34. Epub 2004 Apr 15. Identification and characterization of human and mouse ovastacin: a novel metalloproteinase similar to hatching enzymes from arthropods, birds, amphibians, and fish. Quesada V1, Sánchez LM, Alvarez J, López-Otín C.
Departamento de Bioquimica y Biologia Molecular and Morfologia y Biologia Celular, Facultad de Medicina, Instituto Universitario de Oncologia, Universidad de Oviedo, 33006-Oviedo, Spain. Cancer Res. 2000 Feb 15;60(4):877-82. Human MT6-matrix metalloproteinase: identification, progelatinase A activation, and expression in brain tumors. Velasco G1, Cal S, Merlos-Suárez A, Ferrando AA, Alvarez S, Nakano A, Arribas J, López-Otín C.
Departamento de Bioquimica y Biologia Molecular, Facultad de Medicina, Universidad de Oviedo, Spain. J Biol Chem. 2002 Oct 4;277(40):37637-46. Epub 2002 Jul 30. 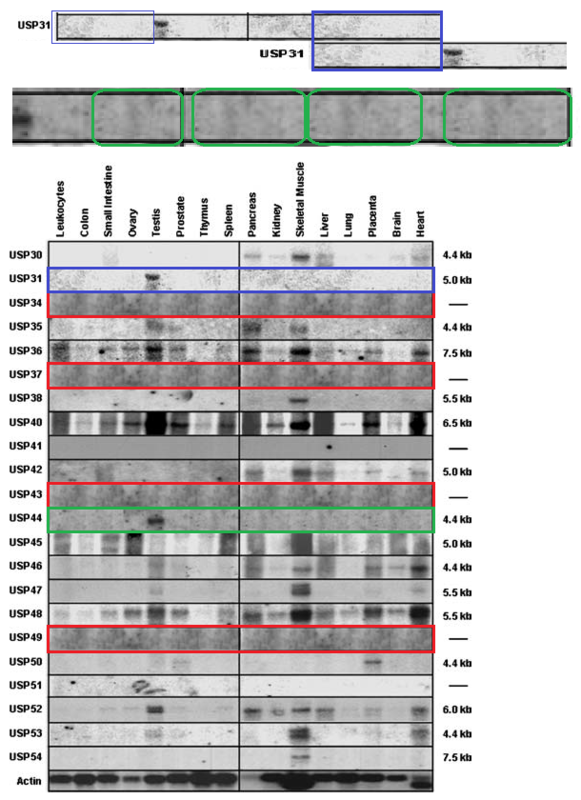 Matriptase-2, a membrane-bound mosaic serine proteinase predominantly expressed in human liver and showing degrading activity against extracellular matrix proteins. Velasco G1, Cal S, Quesada V, Sánchez LM, López-Otín C.
Departamento de Bioquimica y Biologia Molecular, Instituto Universitario de Oncologia, Universidad de Oviedo, 33006 Oviedo, Spain. J Biol Chem. 2003 Feb 7;278(6):3671-8. Epub 2002 Nov 21. Human autophagins, a family of cysteine proteinases potentially implicated in cell degradation by autophagy. Mariño G1, Uría JA, Puente XS, Quesada V, Bordallo J, López-Otín C.
Departamento de Bioquimíca y Biología Molecular, Facultad de Medicina, Instituto Universitario de Oncología, Universidad de Oviedo, Spain. J Biol Chem. 2005 Jan 21;280(3):1953-61. Epub 2004 Nov 9. Human polyserase-2, a novel enzyme with three tandem serine protease domains in a single polypeptide chain. Cal S1, Quesada V, Llamazares M, Díaz-Perales A, Garabaya C, López-Otín C.
Departamento de Bioquímica y Biología Molecular, Facultad de Medicina, Instituto Universitario de Oncología, Universidad de Oviedo, 33006 Oviedo, Spain. Sample order differences between other papers and this one outlined in orange. There are examples of re-use with sample order same. “El actor Antonio Banderas y el bioquímico Carlos López-Otín abrirán la ceremonia de los Premios Fundación Princesa de Girona”. You have to give credit to Carlos López-Otín, he is also an “actor”. J Biol Chem. 1999 Feb 19;274(8):4570-6. Cloning and characterization of human MMP-23, a new matrix metalloproteinase predominantly expressed in reproductive tissues and lacking conserved domains in other family members. Velasco G1, Pendás AM, Fueyo A, Knäuper V, Murphy G, López-Otín C.
Departamento de Bioquímica y Biología Molecular, Facultad de Medicina, Universidad de Oviedo, 33006 Oviedo, Spain. I had thought that “Wandering Western Blot Syndrome” was confined to Brazilian diabetes researchers, but evidently it is spreading! Treaty of Tordesillas divided the newly “discovered” lands outside Europe between the Portuguese Empire and the Crown of Castile (present day Spain), along a meridian 370 leagues west of the Cape Verde islands, off the west coast of Africa. In effect, Portugal colonized what is now Brazil, Spain colonized most of the rest of South America. In this case we are seeing Spain. The spreading goes from the East to West. J Biol Chem. 1994 Oct 28;269(43):27136-42. Human cathepsin O. Molecular cloning from a breast carcinoma, production of the active enzyme in Escherichia coli, and expression analysis in human tissues. Velasco G1, Ferrando AA, Puente XS, Sánchez LM, López-Otín C.
Departamento de Biología Funcional, Universidad de Oviedo, Spain. 1. “Human cathepsin O. Molecular cloning from a breast carcinoma, production of the active enzyme in Escherichia coli, and expression analysis in human tissues” (1994). “Identification and characterization of a novel human matrix metalloproteinase with unique structural characteristics, chromosomal location, and tissue distribution” (1997). J Biol Chem. 1997 Feb 14;272(7):4281-6. “Cathepsin Z, a novel human cysteine proteinase with a short propeptide domain and a unique chromosomal location” (1998). J Biol Chem. 1998 Jul 3;273(27):16816-23. “Cloning and characterization of human MMP-23, a new matrix metalloproteinase predominantly expressed in reproductive tissues and lacking conserved domains in other family members” (1999). “Molecular cloning and structural and functional characterization of human cathepsin F, a new cysteine proteinase of the papain family with a long propeptide domain” (1999). “Human MT6-matrix metalloproteinase: identification, progelatinase A activation, and expression in brain tumors”. “Identification, Characterization, and Intracellular Processing of ADAM-TS12, a Novel Human Disintegrin with a Complex Structural Organization Involving Multiple Thrombospondin-1 Repeats” (2001). 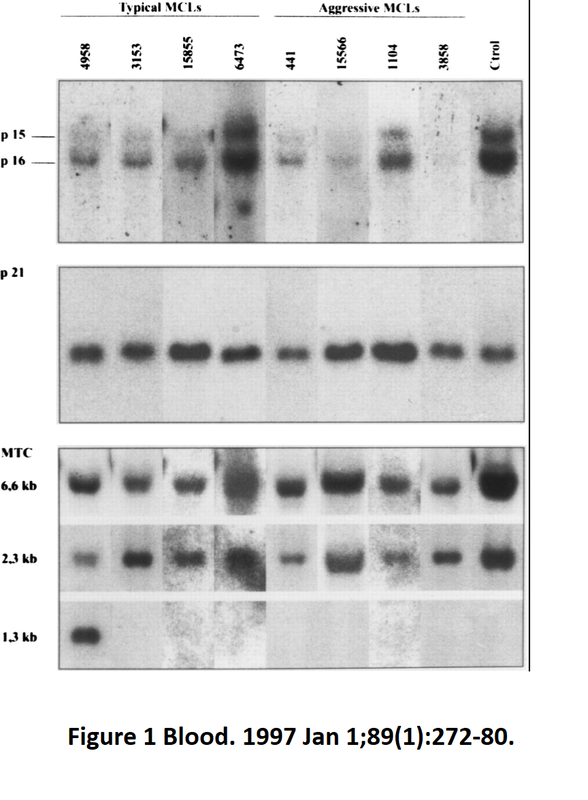 “Matriptase-2, a Membrane-bound Mosaic Serine Proteinase Predominantly Expressed in Human Liver and Showing Degrading Activity against Extracellular Matrix Proteins” (2002). “Polyserase-I, a human polyprotease with the ability to generate independent serine protease domains from a single translation product” (2003). Proc Natl Acad Sci U S A. 2003 Aug 5; 100(16): 9185–9190. “Human Autophagins, a Family of Cysteine Proteinases Potentially Implicated in Cell Degradation by Autophagy” (2003). “Identification of Human Aminopeptidase O, a Novel Metalloprotease with Structural Similarity to Aminopeptidase B and Leukotriene A4 Hydrolase” (2005). “Human Polyserase-2, a Novel Enzyme with Three Tandem Serine Protease Domains in a Single Polypeptide Chain” (2005). “Identification and characterization of human polyserase-3, a novel protein with tandem serine-protease domains in the same polypeptide chain” (2006). More precisely, there are four versions of the Actin band… one for fetal tissues with four lanes; and two for adult tissues and one for tumor cell lanes, each with eight lanes. Lanes are sometimes labelled consistently. Not all of the bands always appear in a single paper. They undergo occasional horizontal or vertical flips and stretching, and sometimes lose lanes from the ends or even the middle. It would be informative to collect and put all the doubtful images of Lopez-Otin’s papers in a single place, so others could forsee the ‘impact’ of his study at a glance. Gather images in a bundle of imgur links. Appreciate if one could check and re-put images in imgur links at pubpeer. bands are wandering to other papers. Not just Nature rewards data manipulation, but the European Research Council also rewards data manipulation. J Immunol. 2012 Oct 15;189(8):4135-43. doi: 10.4049/jimmunol.1103739. Epub 2012 Sep 7. Control of allergen-induced inflammation and hyperresponsiveness by the metalloproteinase ADAMTS-12. Paulissen G1, El Hour M, Rocks N, Guéders MM, Bureau F, Foidart JM, Lopez-Otin C, Noel A, Cataldo DD. Laboratory of Tumor and Developmental Biology, Interdisciplinary Group of Applied Genoproteomics-Cancer (GIGA-Cancer), University of Liège and University Hospital of Liège, 4000 Liège, Belgium. Am J Respir Cell Mol Biol. 2010 Sep;43(3):286-95. doi: 10.1165/rcmb.2008-0426OC. Epub 2009 Oct 20. Matrix metalloproteinase-19 deficiency promotes tenascin-C accumulation and allergen-induced airway inflammation. 1Laboratory of Tumor Biology and Development, and 2Department of Respiratory Diseases, GIGA-I3 and GIGA Cancer, GIGA Research, University of Liege and Centre Hospitalier Universitaire, CHU-Liege, Liege, Belgium; 3Department of Physiology, Monash University, Melbourne, Australia; 4Unité INSERM U774, Institut Pasteur de Lille, Lille, France; and 5Departamento de Bioquimica y Biologia Molecular, Instituto Universitario de Oncologia, Universidad de Oviedo, Oviedo, Spain. Nature. 2005 Sep 22;437(7058):564-8. Epub 2005 Aug 3. Varela I1, Cadiñanos J, Pendás AM, Gutiérrez-Fernández A, Folgueras AR, Sánchez LM, Zhou Z, Rodríguez FJ, Stewart CL, Vega JA, Tryggvason K, Freije JM, López-Otín C.
Much more similar than you would expect. Last, but not least. Carlos Lopez-Otin. His data are in conflict with those claims. It is not obvious if being a “Team” means that you are funded by “Fundación GADEA por la Ciencia”. Cancer Res. 1996 Apr 15;56(8):1746-50. Cloning and expression analysis of human bleomycin hydrolase, a cysteine proteinase involved in chemotherapy resistance. Ferrando AA1, Velasco G, Campo E, Lopez-Otin C.
Departmento de Bioquimica y Biologia Molecular, Facultad de Medicina, Universidad de Oviedo, Spain. Deletions and loss of expression of p16INK4a and p21Waf1 genes are associated with aggressive variants of mantle cell lymphomas. Pinyol M1, Hernandez L, Cazorla M, Balbín M, Jares P, Fernandez PL, Montserrat E, Cardesa A, Lopez-Otín C, Campo E.
Department of Anatomic Pathology, Hospital Clinic Provincial, University of Barcelona, Spain. Figure 1. Differential splicing between panels dilutes meaning. “Carlos López Otín: “España es una sociedad sin afición por la ciencia” “. He should speak for himself. Is it a plea for help? J Biol Chem. 2012 Nov 16;287(47):39554-63. doi: 10.1074/jbc.M112.408625. Epub 2012 Sep 27. ADAMTS-12 metalloprotease is necessary for normal inflammatory response. Moncada-Pazos A1, Obaya AJ, Llamazares M, Heljasvaara R, Suárez MF, Colado E, Noël A, Cal S, López-Otín C.
Fig. 3C did not indicate the borders between different sections of the same gel for the calprotectin, S100A8, and S100A9 immunoblots from day 8. The actin immunoblots were electrophoresed on parallel gels. This error has now been corrected and does not affect the results or conclusions of this work. J Biol Chem. 2008 Apr 4;283(14):9465-74. doi: 10.1074/jbc.M709522200. Epub 2008 Feb 1. Collagenase-2 deficiency or inhibition impairs experimental autoimmune encephalomyelitis in mice. Folgueras AR1, Fueyo A, García-Suárez O, Cox J, Astudillo A, Tortorella P, Campestre C, Gutiérrez-Fernández A, Fanjul-Fernández M, Pennington CJ, Edwards DR, Overall CM, López-Otín C.
Departamento de Bioquímica y Biología Molecular, and Biología Funcional, Facultad de Medicina, Instituto Universitario de Oncología, Universidad de Oviedo, and Servicio de Anatomía Patológica, Hospital Central de Asturias, Oviedo 33006, Spain. For clarity, upon assembly of Figs. 4, 5A, and 8B, corresponding to a dissection of mouse spinal cords, torn fragments of adjacent tissue that were incompletely removed during manual dissection were eliminated digitally, leaving only the spinal cord tissue under study. The unprocessed versions of these figures are shown without this modification. Additionally, an incorrect image was shown in Fig. 4O. These errors have now been corrected and do not affect the results or conclusions of this work. The issues need MORE attension. Integrity of JBC could be in doubt. Unfortunate that Carlos Lopez-Otin escapes from his misconduct dealt doen with mere correction. J Biol Chem. 1999 May 14;274(20):13800-9. Molecular cloning and structural and functional characterization of human cathepsin F, a new cysteine proteinase of the papain family with a long propeptide domain. Santamaría I1, Velasco G, Pendás AM, Paz A, López-Otín C.
Departamento de Bioquímica y Biología Molecular, Facultad de Medicina, Universidad de Oviedo, 33006-Oviedo, Spain. How many biological forms can you see?